Professional Painting Contractor with Outstanding Service Teams. 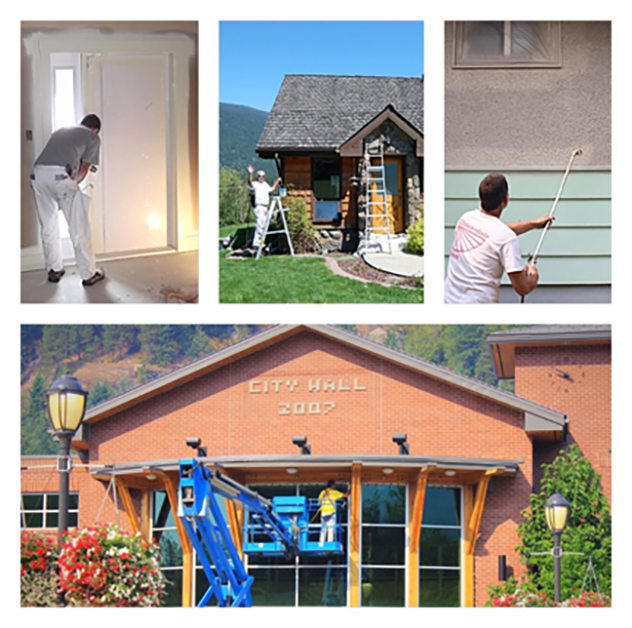 Providing painting services for Nelson, Castlegar, Trail and West Kootenay’s area. Over 30 years in business. All personnel are police background checked. Now accepting debit and credit cards!! “Just some remarks pertaining to the house project at our home in Bonnington. Firstly, the relationship of business owner, employees and customer was well achieved and professional. “Right off the bat I want to say thank you for your professionalism. A & A responded quickly and proficiently to my request for an estimate. The painting team made a courtesy call prior to arriving; and set to work immediately upon their arrival. I was delighted in the way in which this team worked. They were focused, proficient, skilled and thoughtful – they dusted and changed bulbs in a ceiling fan which was completely out of my reach! Looking to have a paint job but not sure how much it would cost? Get a free quote today! Made up you mind already? Book a painter today and set the schedule! A&A Painting Ltd is BONDED, LICENSED, INSURED, WCB AND ALL PERSONNEL ARE FULLY BACKGROUND CHECKED.